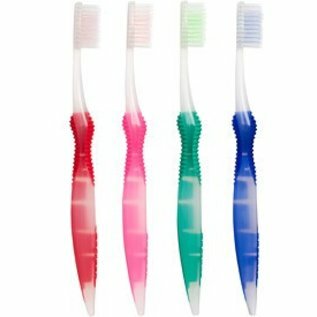 The SoFresh® Flossing Toothbrush's patented double-tiered, dual-action bristles provide you with the most effective and safest brushing and flossing experience possible. Clean your teeth while removing invisible bacteria and plaque from your mouth. 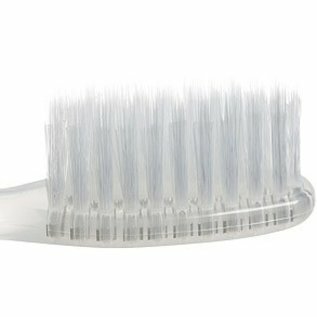 Effectively brush all around teeth. 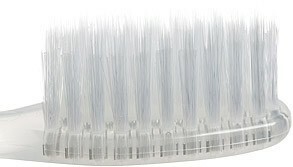 The shorter, rounded bristles effectively brush all around teeth while massaging and remaining gentle on gums. Clean deep within teeth and gums. 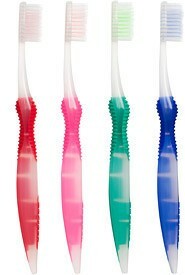 The longer, tapered bristles clean deep between teeth and under gums removing plaque and reducing surface stains.